Bananas grow abundantly in Malaysia. We have a wide selection of bananas to choose from. Almost all varieties are tasty. 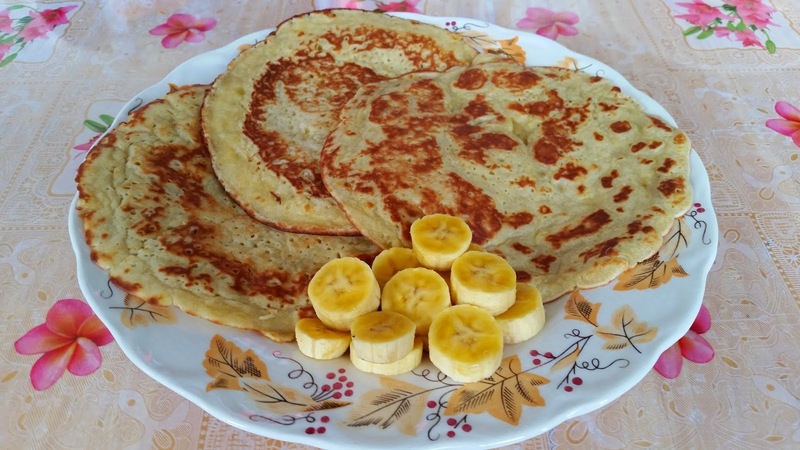 My favourite is "pisang mas" and I shall use them to make banana pancakes for breakfast today. 1. Mix together beaten egg, sugar, self-raising flour, salt and coconut milk to form a batter. Mix well. 2. Heat a non-stick frying pan until hot. 3. Add margarine or cooking oil to non-stick frying pan (optional). 4. Pour in 2 tbsp of batter and turn frying pan so that the batter is spread out evenly. 5. Fry until brown on both sides. 6. Dish up and serve with banana slices. These look like the denser Asian pancake. They're called lempeng in Malay. I love it very much, simple yet so flavourful. 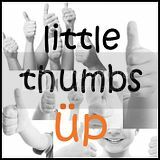 Thank you for linking to LTU! 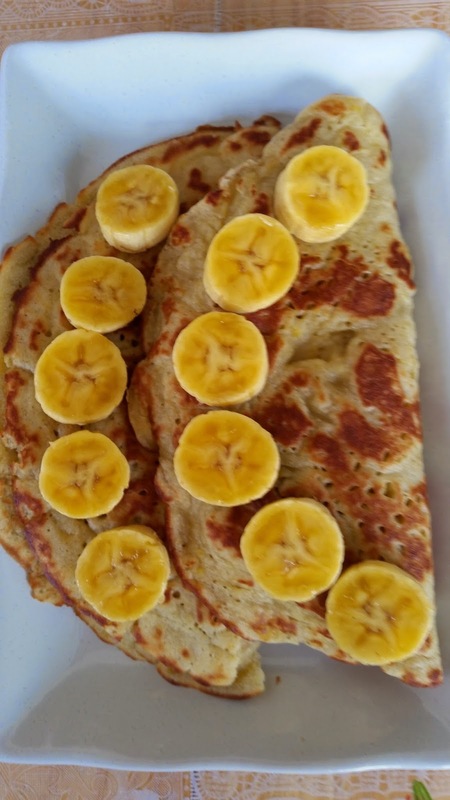 This other version pancake looks delish!